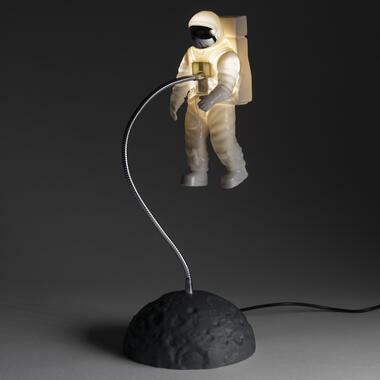 One small step for an astronaut, one giant leap for illumination! For some reason, thinking about space almost instantly bestows a certain feeling of peace and tranquillity upon us. Just imagine floating around in zero g, enjoying the perfect view, absolute silence and, according to real-life astronauts, the smell of freshly seared steaks. No people, no noise and some delicious food - what more could a nerd want? 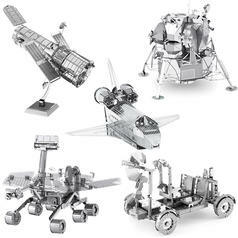 from 10.95 £ lade... Space 3D Metal Craft Kits Promote yourself to being a NASA engineer and build your own space technology. 18.95 £ lade... 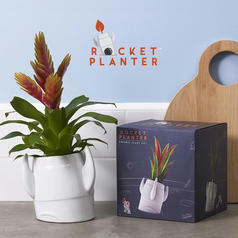 Rocket Flower Pot This rocket definitely runs on green energy! 9.95 £ lade... 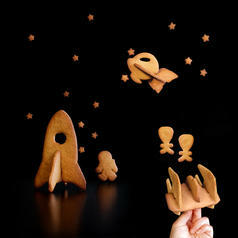 Rocket Construction Set Cookie Cutters Bake cookies from one of four eatable cookie spaceships.